SAP Cloud Platform Rapid Application Development by Mendix helps organizations use their core data assets effectively while easily leveraging SAP Leonardo technologies and services, achieving their desired goals faster and becoming an Intelligent Enterprise. I’d like to reveal to you how we continue integrating Mendix with different SAP services and solutions while reducing the need for unique expertise or a big learning curve, enabling you the easiest way of leveraging SAP’s offering. 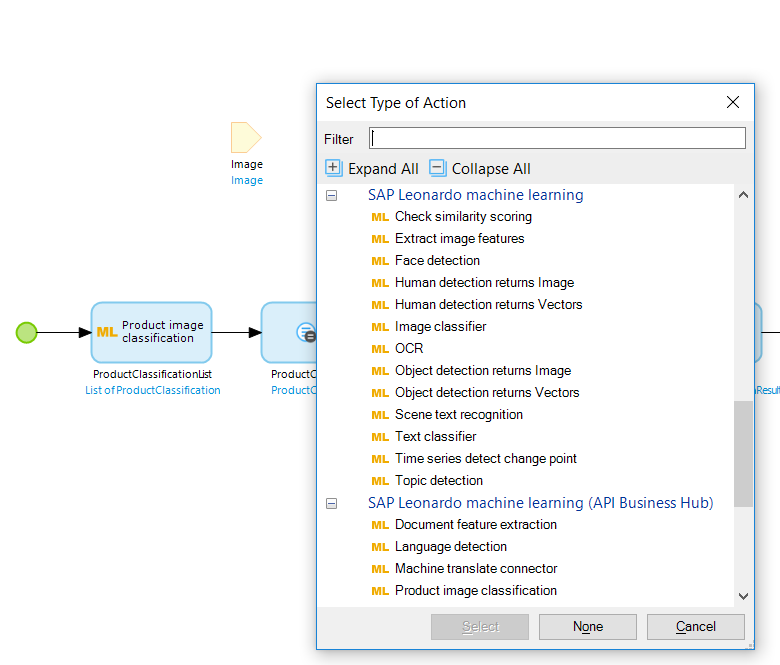 SAP Leonardo Machine Learning Foundations services allow you to enhance business processes with intelligent algorithms using enterprise-grade machine learning capabilities. But how can you leverage it in your business application? 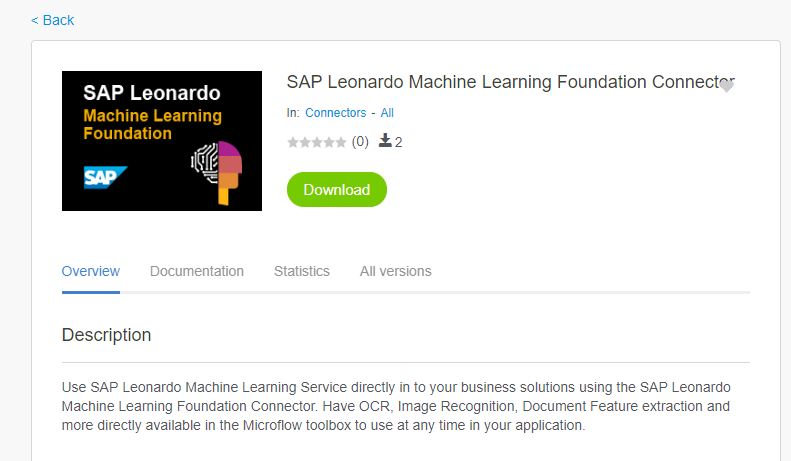 We have just released a new SAP Leonardo Machine Learning Foundation connector to the Mendix App Store that simplifies the consumption of Machine Learning Foundation services, such as product and image recognition. The connector allows you to start exploring the services by using the SAP Leonardo Machine Learning Foundation APIs from the SAP API Business Hub sandbox or from your trial services, and later adapt the application to use your productive services. Including the connector in your app adds the new Mendix domain model of the service interface and activities that you can use in your microflow to call the service. The connector makes it easy, even if you are not an expert in machine learning, to use the service in your applications and make them smarter. 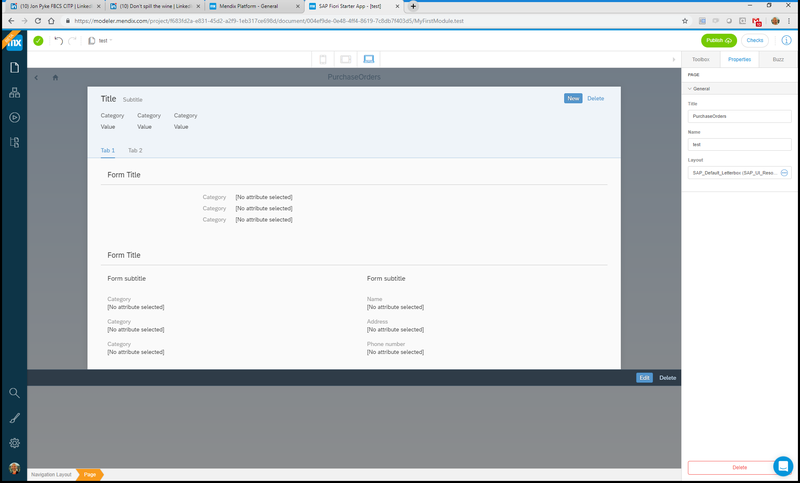 In my previous blog, I wrote about creating hybrid cloud applications with Mendix tools that connect to your SAP on-premise system, consume data from an OData service, extend it, and add business logic on top of it. But what if you want to connect to SAP SaaS solutions and extend them? Can SaaS extensions be created with SAP Cloud Platform Rapid Application Development by Mendix? Of course, they can! The SAP OData Connector is now leveraging the SAP Destination service, which means the application will be automatically bound to the destination service and allow you to retrieve the destination configuration. This will allow you to maintain the destination configuration once and reuse it in the different applications. You can retrieve the endpoint and the other parameters and use them when performing the OData request. You can of course have different configurations for different environments, Development, whether Test or Acceptance, and Production. The integrations with the SAP Destination service also bring new authentication methods that can be used when connecting to a cloud service; for example, services on SAP Cloud Platform, Neo environment. These authentication methods help you create SAP solution extensions with secure SAP connectivity. 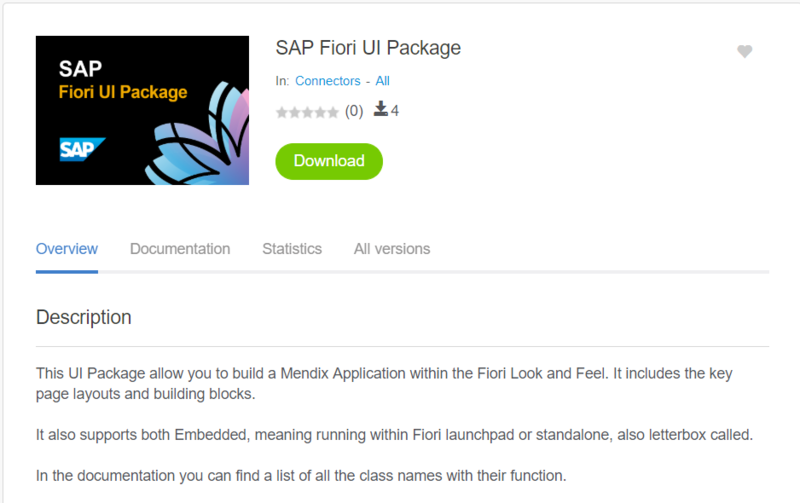 The new SAP Fiori UI starter application is now based on the Mendix Atlas UI framework. It is simplified, up to date, and can work on the Mendix Web Modeler! SAP customers can now collaboratively work on both the Mendix Web Modeler and the Mendix Desktop Modeler to develop their applications. The new experience of changing the UI, adding business logic and even extending the domain model in the Web Modeler is not only simpler and faster, but also encourages more collaboration between less technical developer and the application developers. In the future, we plan on enabling direct deployment from the Mendix Web Modeler to SAP Cloud Platform, shortening the application development cycle even more. Interested in trying these new capabilities? 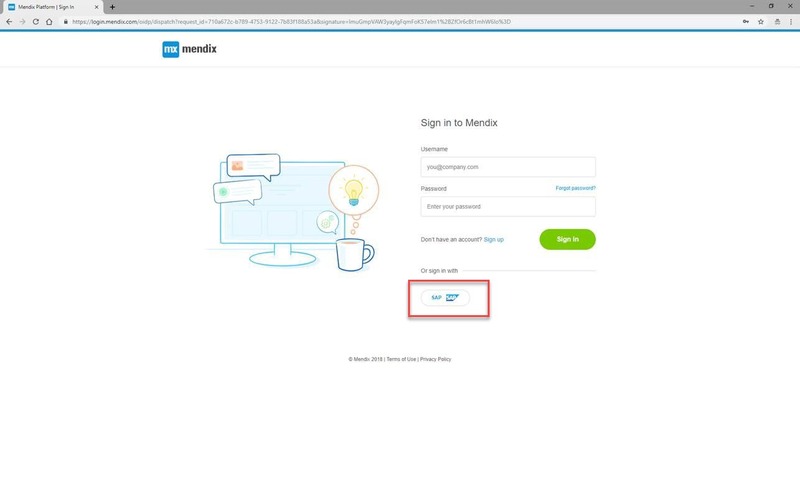 The signup for SAP Cloud Platform Rapid Application Development by Mendix directly from the SAP Cloud Platform cockpit was never easier. The new seamless registration for the solution can now be done using your SAP Cloud Foundry credentials. Just click the SAP button on the registration page, authenticate against SAP Cloud Platform and you are a Mendix user. What if you have already a Mendix user? You can link it to your SAP user during your next login, and you will have one less passwords to remember. Mendix Web Modeler, leveraging SAP’s multi-cloud strategy. For more details, check our roadmap.